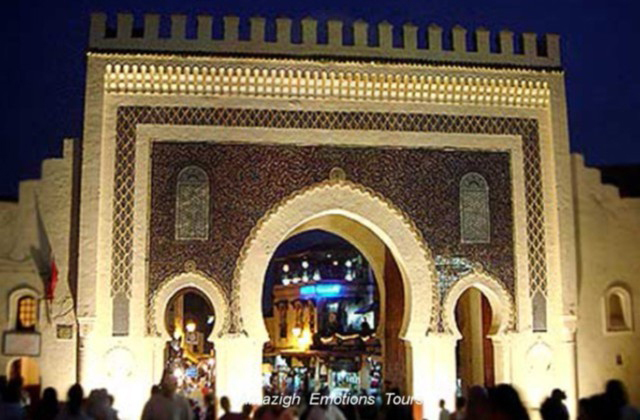 Day 1: Fez - Ifrane - Errachidia - Merzouga (460 km): Starting from Fez (The first imperial city in Morocco) to the Erg Chebbi desert via a photo stop in Ifrane (The small Switzerland) and in Azrou with its cedar forest and monkeys of the middle-Atlas. Arrive in Midelt and lunch after crossing the Zad pass (2178 m). 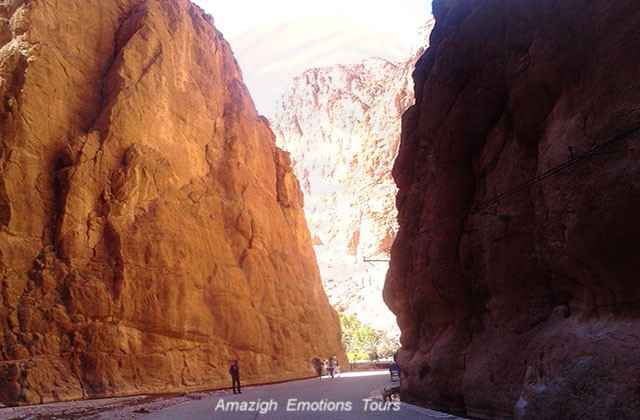 We enter after in the Ziz area with magnificent views of cagnons and valley. 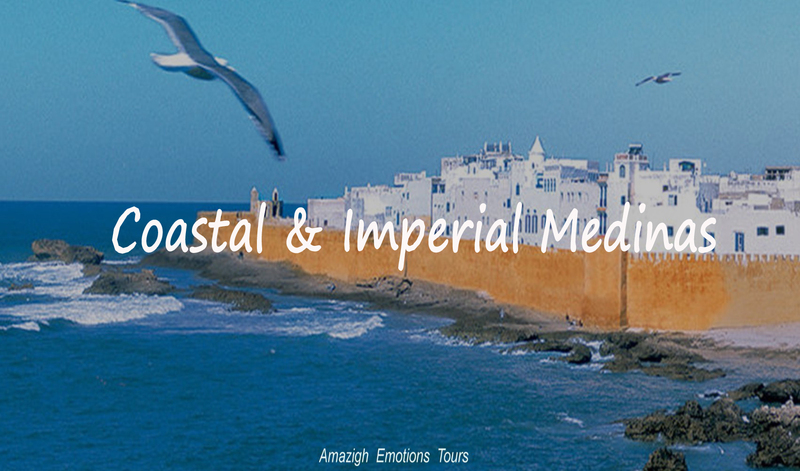 Visit the marble and fossils in Erfoud, then reaching Merzouga dunes and overnight in a Kasbah Hotel. 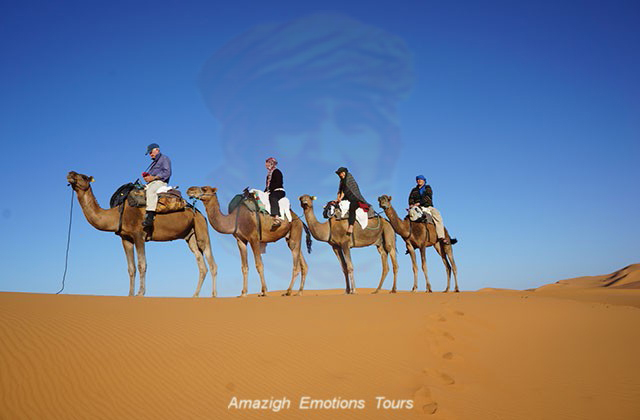 Day 2: Merzouga - Erg Chebbi Tour (120 km): The second step is to explore the Sahara Erg Chebbi. 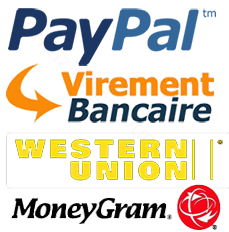 After breakfast, we will visit small villages and oases in the region, a local family of nomads in the Berber tent, Mifis mines, the village of Gnawa (Sudan black), crossing the tracks of Paris- Dakar desert plateaus and different as the black desert, salt lakes, wadis ... The lunch will be on the road, Then return to the accommodation to go to sleep with camels in the desert and spend a quiet night under nomad tent and the stars. Day 3: Merzouga - Errachidia - Midelt - Fez (460 km): Quiet departure after breakfast. 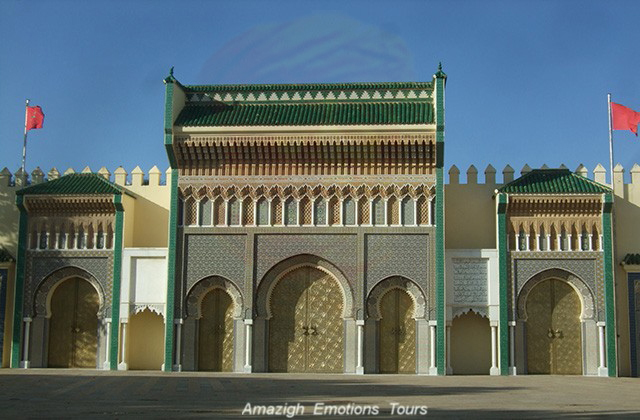 We'll return along the same route that was the old caravans road in times of Morocco visiting the mausoleum of moulay Ali Cherif (The founder of the Alawite dynasty) and Abdel Halim Kasbah in Rissani. Then Errachidia along the wonders of the Ziz Valley and the lunch break will be at Midelt. 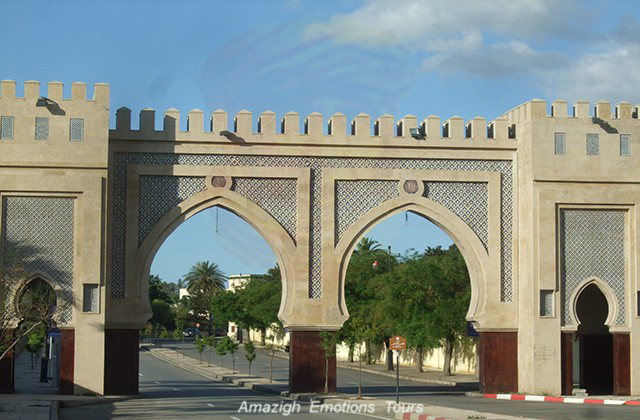 Finally continuation via Azrou and Ifrane to reach Fez late evening and end of our services. Day 1: Fez - Midelt - Errachidia - Merzouga (460 km): The starting our first day at 8 am from Fez spiritual city of Morocco to Erg Chebbi dunes. 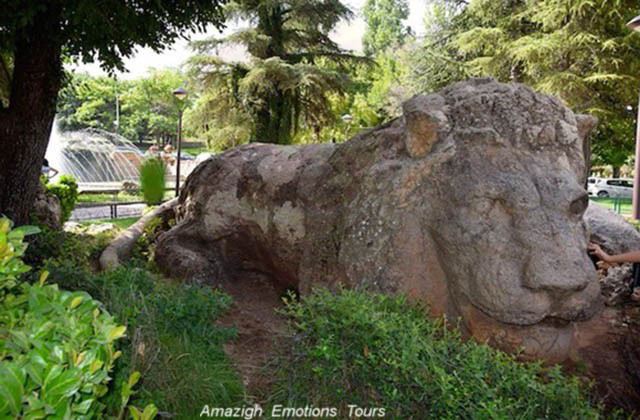 We will stop at the town of Ifrane (Morocco Switzerland) and the cedar forest near Azrou with its monkeys Middle Atlas. After the Zad pass (2178 m) arriving at Midelt and lunch. 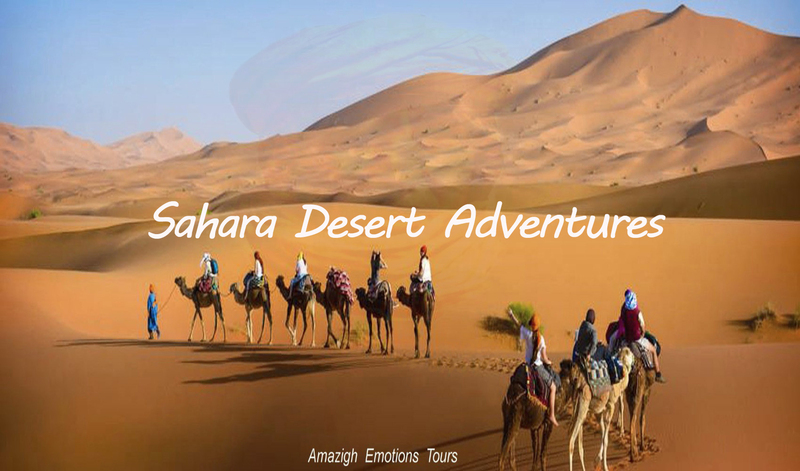 We enter the Ziz wadi area with stunning views of the valley and cagnons ... Visit the marble and fossils of Erfoud, to finally arrive at the foot of the Merzouga dunes and overnight in a Kasbah Hotel, where in local bivouac comes with an excursion in camels. 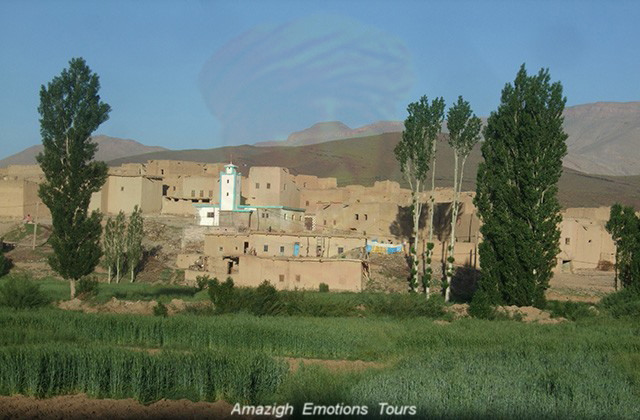 Day 2: Merzouga - Todra Gorges - Imilchil (340 km): After breakfast, we head to the famous village of Imilchil known for its festival of betrothal. 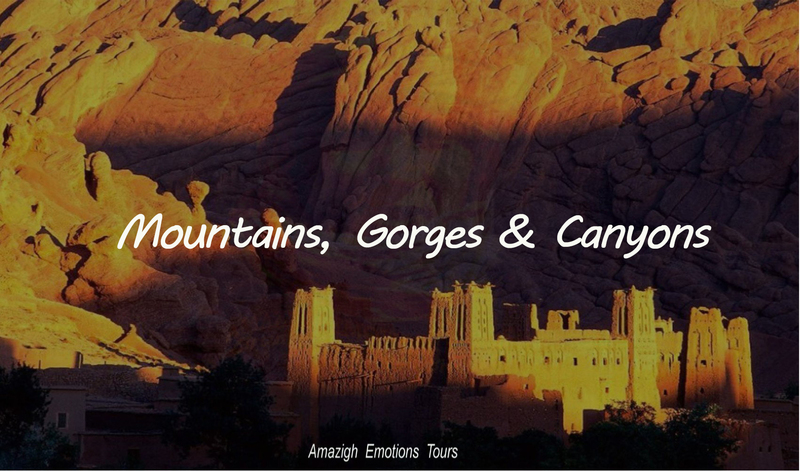 You will have a photo stop at Jorf with foggaras (ancient irrigation systems), then the oasis of Touroug and Tinejdad to reach the Todra gorges and lunch. After a short walk is recommended before continuing on our way by beautiful views of cagnons and Berber villages. Overnight in a local hotel. Day 3: Imilchil - Khenifra - Meknes - Fez (370 km): Start early in the morning after breakfast to Fez via the city Khenifra and visiting Oum Rabii sources. 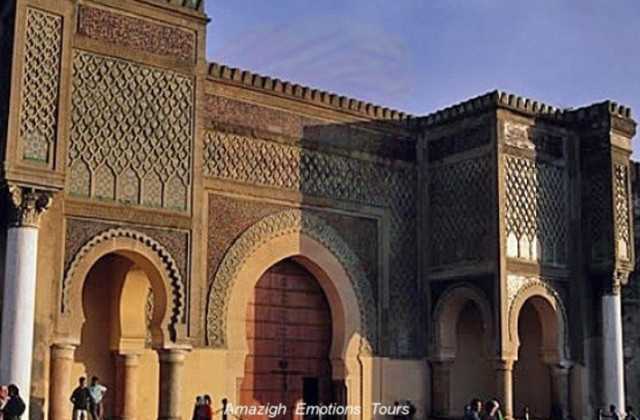 Continuation road to reach Meknes and lunch in typical Moroccan restaurant admiring the walls of the old medina. 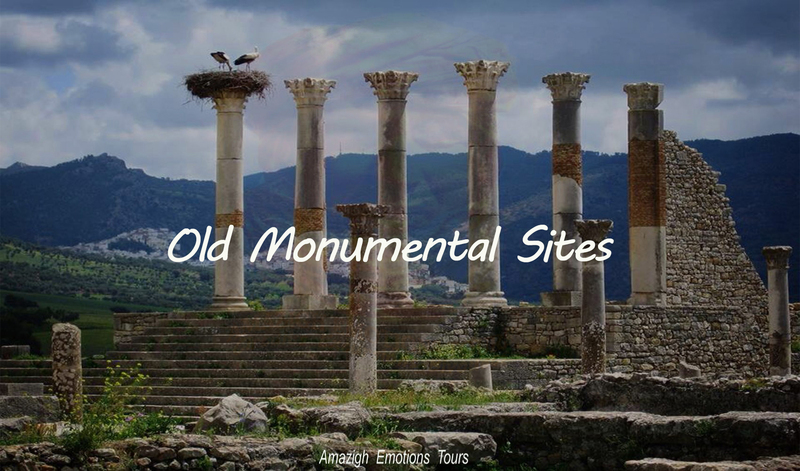 Afternoon, we will visit the Roman site of Volubilis to finally arrive at Fez late afternoon and the end of your travel. 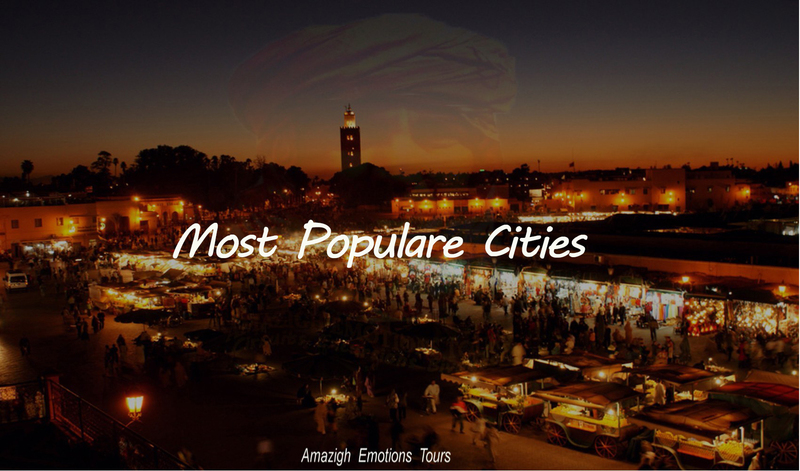 Day 1: Fez - Azrou - Erfoud - Merzouga (460 km): We pick you in Fez and driving to the Sahara desert with a photo stop at Ifrane (African Switzerland) and Azrou with its unique cedar forest and its monkeys of Middle Atlas. After crossing the Zad pass (2178m), we enter the Ziz area with magnificent views of cagnons, gorges and valley. 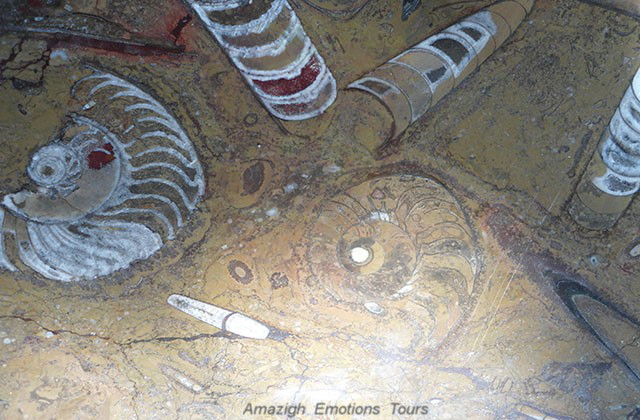 After lunch, we will visit the marble and fossils of Erfoud, then continuation to the dunes of Merzouga. Overnight in a Kasbah Hotel, where in a private camp in the desert with camel riding. Day 2: Merzouga - Todra Gorges - Dades Gorges (320 km): After breakfast and a shower, we go in the direction of Boumalne Dades via a photo stop at Jorf (the ancients irrigation systems), then by the small villages oasis we get to the famous Todra gorges and lunch on the spot. After a short walk in this site geological rocks, we will take the road again to the beautiful valley and Dades gorges. Overnight in a Kasbah Hotel. 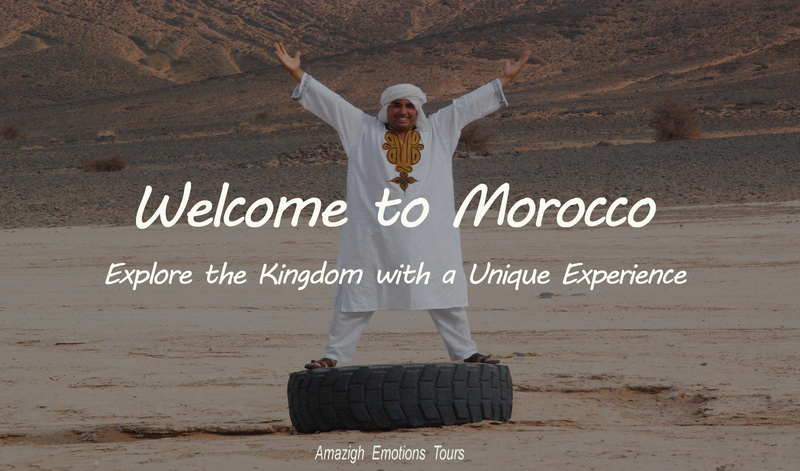 Day 3: Dades Gorges - Ouarzazate - Marrakech (330 km): In the morning after breakfast, we head to Marrakech (the pearl of sdu) via Ouarzazate (African Hollywood) on the road of thousand kasbah. 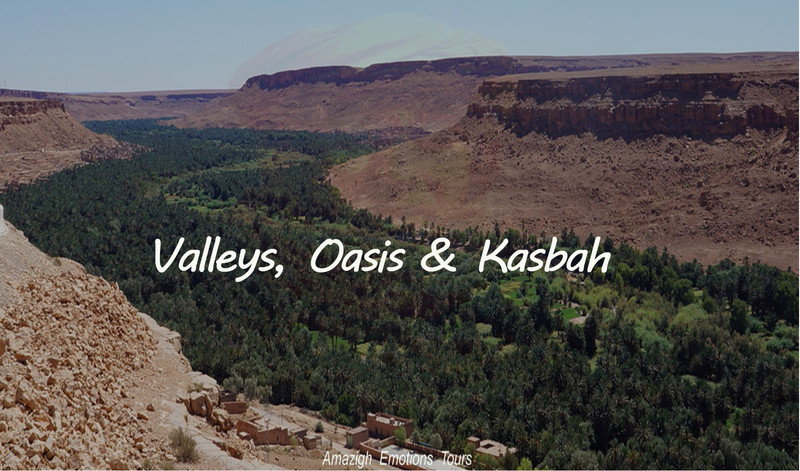 You will see beautiful valley of roses Kalaat M'Gouna (the capital of roses), the kasbah Taourirte (old Ouarzazate), the center of the film and finally the famous Kasbah of Ait Ben Haddou and lunch. 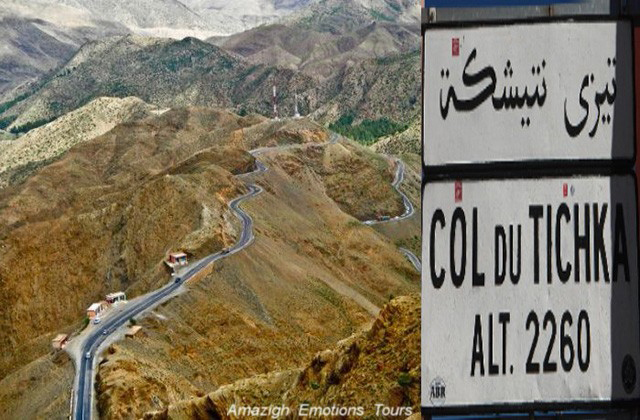 Afternoon, we will cross the mountain of the High Atlas by the Tichka pass (2260m) and wonderful panoramic views to reach Marrakech and end of our trip.